These collegiate protractors are made of tinted plastic that reduces glare. 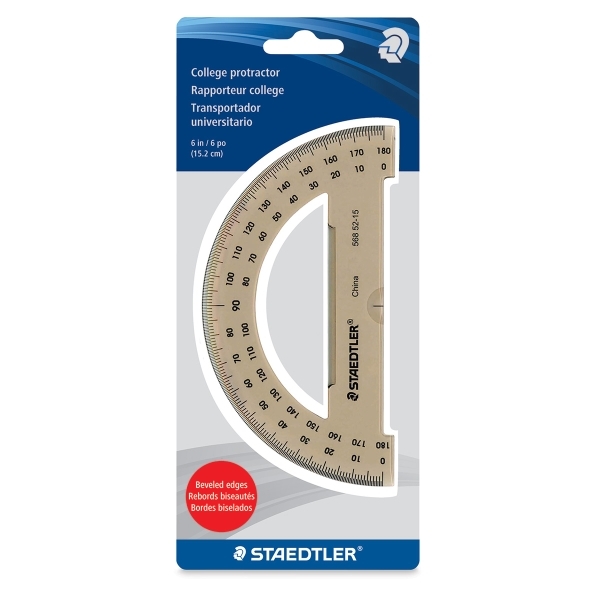 Clockwise and counter-clockwise graduations in 1/2 increments assure precise measurement. Other features include beveled edges, a center cut-out, and a finger lift.